Once upon a time, we didn’t have to worry about feeding our animals and livestock ‘pure’ food. Sadly, that is no longer true. Manufacturers have been adding things to animal feeds for decades; antibiotics, hormones and now Genetically Modified Organisms (all in the name of animal health and economy). Happily, some of those practices have stopped such as growth hormones in chicken feed, but the GMO issue is huge, controversial and not likely to go away anytime soon. How widespread is the growing of GMO plants? It is estimated in the US that 85% of all soy grown in the US is GMO. This equates to 58.6% worldwide. In order to get the best out of this article, there are a few terms that we need to be familiar with, so here’s a quick guide to them. Genetically Modified Organism (GMO): A plant or living thing that has been genetically manipulated by man and is not considered ‘natural’. An example would be roundup ready seeds which have been altered to tolerate high doses of the herbicides (Roundup). Organic Feed: Untreated and natural feed that has not been manipulated by mankind. Conventional Feed: Regular feed that can be found at the feed store which may contain GMOs. It is generally much cheaper than organic. Endocrine Disruptors: Chemicals that have the potential to disrupt the normal hormonal state of an animal or human. For example rBST is an endocrine disruptor given to cows to increase milk production. Hormones: These are the chemical messengers of the body governing every aspect of health and wellness (e.g. estrogen, testosterone and insulin). Antibiotics: A medicine that destroys or inhibits the growth of certain micro-organisms (e.g. penicillin). Ionophores: A substance that is able to transport certain ions across cell membranes. Coccidiostats: An antiprotozoal agent that is given to poultry to prevent or mitigate coccidiosis. Some are antibiotics, some are not. 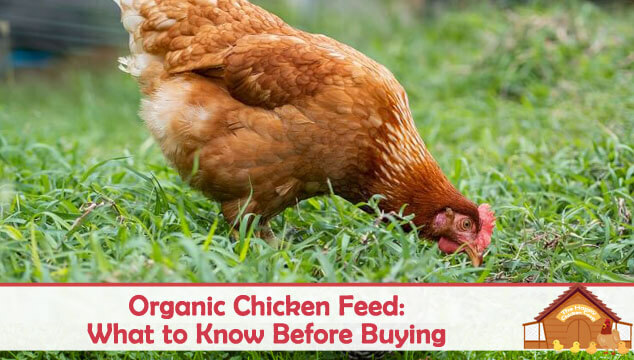 Organic chicken feed is feed that is certified to be free of additives such as pesticides, hormones, antibiotics or other ‘foreign’ substances. This may sound simplistic, but in fact it is a very labor intensive endeavor. The seeds used must be certified organic, as must the land they grow on. The farmer must possess an organic certification in order to grow and sell his product as organic. Since no pesticides are used, human labor is more intensive. The end product must be shipped and processed separately from conventional food. Organic wheat, barley, peas, flaxseed meal, corn, soybeans, molasses fish meal, sesame oil and other ingredients are mixed together to provide a balanced feed for the flock. The basic requirement of any feed is to provide nourishment and nutrition that is appropriate for the creature that it feeds. 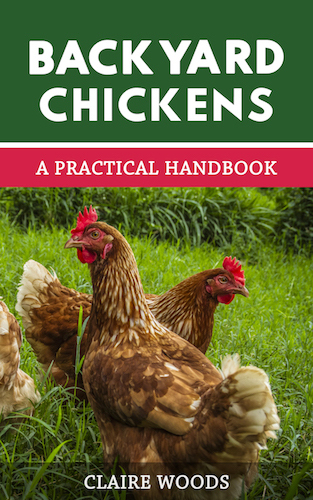 In the case of most backyard chickens that nutrition is provided by a grain based feed to which various things are added. Protein: The percentage of protein varies according to the age or use of the chicken (e.g. laying hen vs meat bird). Amino Acids: The building blocks of life. Usually they are lysine and methionine. Vitamins: A wide variety of vitamins are added to enhance health (vitamin A, folic acid and D3). Trace Elements: Copper sulfate, Manganous oxide and selenium – all vital to living creatures. Enzymes: Added to provide good bacteria for the gut – aspergillus oryzae provides phytase to help breakdown feed in the gut. The feed nutritionists have spent years perfecting the formulae for animal feeds. There are several different types of feed and they are based on the life cycle requirements of the bird. Chicks require higher protein levels; 20-24% as they grow very quickly. As they get to the 6 week mark, they can change down to 18-20%. This amount of protein will be sufficient for them until 12 weeks of age. The reduction in protein content is important to protect the kidneys. At 12 weeks you can change them over to finisher feed until they reach laying point. At around 18-20 weeks old, they can be changed to 16% layer feed. I think everyone does this a slightly different way. I never use finisher, keeping them on starter/grower until 20 weeks. Then I change them over to 16% protein feed. As far as I can tell there have been no problems with this regimen. Organic chicken feed has a huge advantage over conventional feed as far as purity of product goes. GMOs have been around for a while now and controversy is still swirling around them. The major deterrent against using GMO feed is that the long term health effects of GMOs remain unknown. While the companies that manufacture GMO items say they are safe and there are no known ill effects, the opposing camp say it is too soon to tell if there are truly ‘no side effects’. Animal studies have shown GMO may cause organ damage, immune system problems, accelerated ageing and infertility. Many of the criticisms levelled at GMOs could be coincidental, but more studies and testing are needed to be sure. Areas currently under investigation are the increase in allergies, increased antibiotic resistance and especially the effects of endocrine disruptors which affect children under 7, pregnant women and the overweight population more severely. 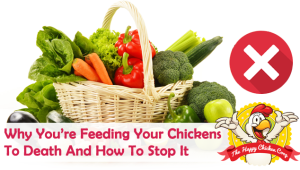 By using organic chicken feed, you are protecting yourself, your family and your livestock from potential harm caused by GMOs and other additives. More intensive labor costs. Since no pesticides are used, bugs and weeds must be handpicked. Organic food requires separate transportation from conventional food, meaning distribution costs are higher. Organic food requires separate processing from conventional food. To sell feed as organic requires government certification. Organic food supply is limited. 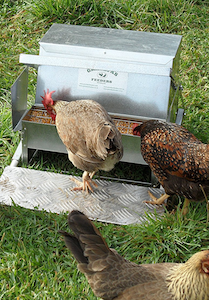 Fermenting your flocks’ feed is easy and it will save you some money! We are talking about organic feed here but you can ferment organic, conventional, home-made or scratch grains if you wish. The smaller your flock, the easier it becomes. I have over 50 chickens and it becomes tiresome when fermenting this much feed! So how do you ferment your feed exactly? 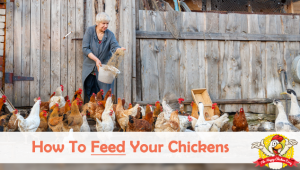 The total daily feed your chickens will eat (1/4 lb feed per bird). Un-chlorinated water (enough to cover the feed). If your tap water is chlorinated, stand it overnight before pouring onto the feed, the chlorine will evaporate. Food grade bucket or container. Tea towel or clean kitchen towel. First you need to add feed to bucket and cover the feed in water. Check in about 30 minutes or so, you will need to top up the water as the feed will absorb it. Place in a warm area of the house, cover with the cloth. Check periodically for the first few hours and top up water as necessary. At 24 hours check the mixture. You may have a clear or whitish film on the top (this is O.K.). The mix should smell like sourdough, all is good. Top up water as needed, stir and cover. At 48 hours you can use the feed mixture! Some people leave the mix for 3-4 days – your choice. The beneficial bacteria have been busy at work breaking down the feed into more easily accessible nutrition that is easier for the birds to digest. Note: If it smells tart or rancid or has black mold on the surface, toss it out. Rinse the container thoroughly and start again. Do not feed to the chickens! This is one days feed. To keep going daily I would suggest doing a daily cycle. This way you will have a constant supply of feed without too much clutter in the house. You will find that the mixture goes further than the dry feed so you may have some left over. Studies done in Europe suggest that fermented feed increases the intestinal health and promotes good gut bacteria. So you have decided to feed your girls organically. Very good, but what about those treats and snacks they love too? The first thing to do is read the labels on those snacks and treats. If they contain words you can barely pronounce they are probably not organic! If you have the time and ability you can always make your own. We have recently discussed making your own scratch at home. Now onto one of the most popular chicken snacks, mealworms. 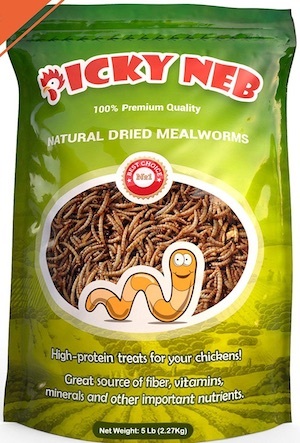 Unfortunately there is a bit of controversy about mealworms currently as most dried mealworms come from China. In the UK they have banned the use of imported dried mealworms. To understand why we need to look back to the 1980s outbreak of Mad Cow Disease – it all started when the cows were fed contaminated feed. The virus was able to mutate, jump species and became Creutzfeldt-Jakob disease in humans, causing death and disability to many people. To ensure uncontaminated mealworms, you can grow your own. This is a great time to assess whether or not your ladies need all those treats you have for them. You may find they don’t want quite as many treats once you have established them on fermented feed. 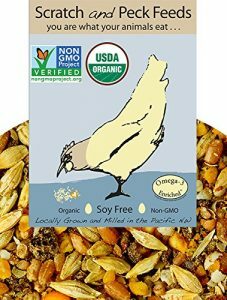 These mealworms are guaranteed non-GMO and additive free, giving you reassurance that you’re feeding your hens a healthy snack. 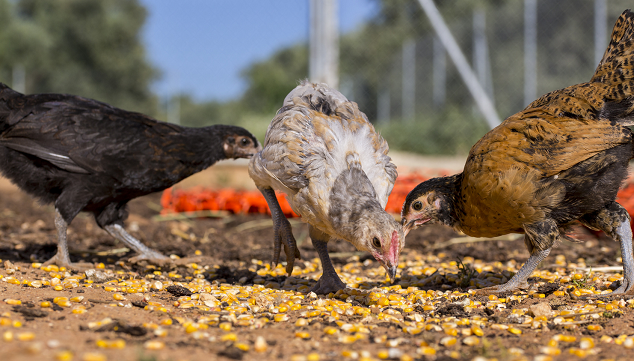 Dried mealworms contain key nutrients for chickens and chicks. Provide your hens with a boost of protein to increase egg laying. This is a personal preference and should be whatever fits your schedule. The majority of folks feed free choice; this means chickens always have access to feed and can help themselves whenever they want a snack. You don’t have to fuss with filling the feeder on a regular basis. Some folks though prefer to feed a couple of times a day, topping the feeder at certain times of the day that they have designated. I prefer the free choice because it allows the birds to eat at their speed and not have to compete with their flock-mates. When feeding fermented feed, it’s probably best to feed them first thing in the morning but there really aren’t any hard and fast guidelines, whatever works well for you. It is good to also have a dry pellet feeder available at all times in case they want a snack. Again, this is another personal choice, some like automatic feeders others prefer the gravity feeders and some prefer trough feeders. We have detailed the basics of organic feed and its benefits here. While the initial cost of organic feed may seem prohibitive, if you ferment the feed the costs are cut dramatically and according to the science, the birds have healthier guts. It is unlikely that we are going to get any firm answers on the GMO questions until many years from now. So until then, we have to do the best we can for ourselves, our family and animals. The decision on whether or not to go organic is deeply personal and there is no right or wrong answer. We all do what we feel is right or what is dictated by circumstance at the time. 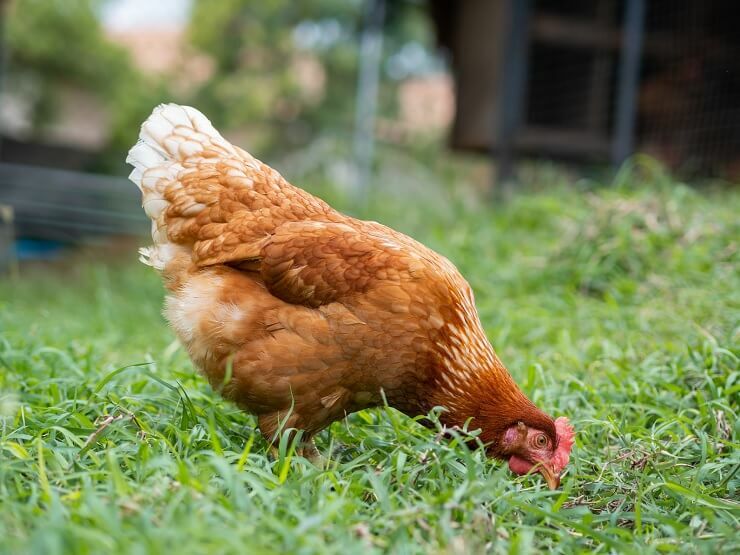 We hope we have helped to clarify a few points around organic feed for you and given you enough information to make informed choices on your chickens’ feed. I purchased 6 hens in May and since then I have only gotten at most 5 eggs a day. One of my girls is not laying, why ??? Thank you for this. I found your post very informative. But it is missing what I am looking for. Newer information linking the dangers of trace pesticide cocktails, from non-gm crops, sprayed with round-up prior to harvest. I believe this new information is critical, as most folks believe non-GMO to indicate the food would be produced without round-up and fewer chemicals. If glyphosate is present in the feed, it will accumulate in the bird and also be present in the manure and possibly, the eggs. Although I’m unaware of any published studies on eggs at this time. For this reason, it is extremely important to differentiate between certified organic and all other feed. I am planning on writing an article on trace pesticides, the gut, and GMO NON/GMO confusion. You bring up a very huge concern that everyone should be educated on. What do you recommend feeding the fermented food in? Will it work in a regular hanging feeder? Or the steel one you recommend? Or would I put the pellet in the steel feeder and feed the fermented in… What?